Tonight was clear and pleasant, a rarity this summer in Chicago. I decided to go take a walk near Lake Michigan. I took this photo above from Adler Planetarium. 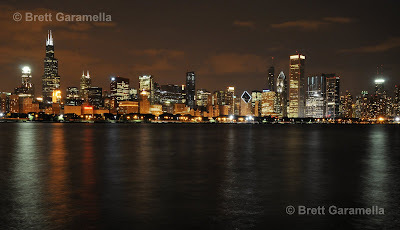 The city skyline has many more buildings since I arrived in Chicago four years ago. Please click on the photo above for a larger view. your photo is the bomb.